To help you tame those scraps, I'm pleased to release my Scraps Squared pattern today. 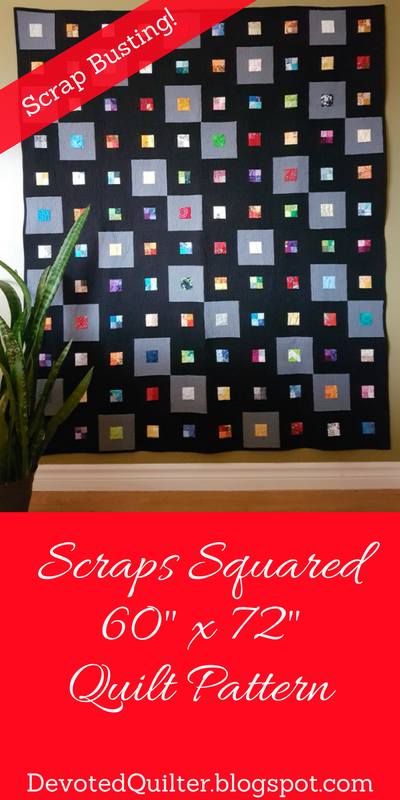 Scraps Squared finishes at 60" x 72" and uses small squares in two different sizes. Change your scraps into a gorgeous quilt! To celebrate the pattern release, Scraps Squared will be available for 25% off the regular price until March 20th. Get your copy now from my Payhip shop or my Etsy shop! As always, if you make Scraps Squared, I'd love to see your version. Tag me on IG (devotedquilter) or FB (devotedquilterdesigns) or send me an email at devotedquilter at gmail dot com. What a fun pattern, Leanne! Congrats on the new release! Neat! Congrats on fun new pattern! A gorgeous quilt and a clever pattern! Congratulations on its release! I’ll keep it in my ideas for future quilts...do have a few scraps 😉. LOVE your scrappy pattern!! Best of luck with sales. Very nice pattern. 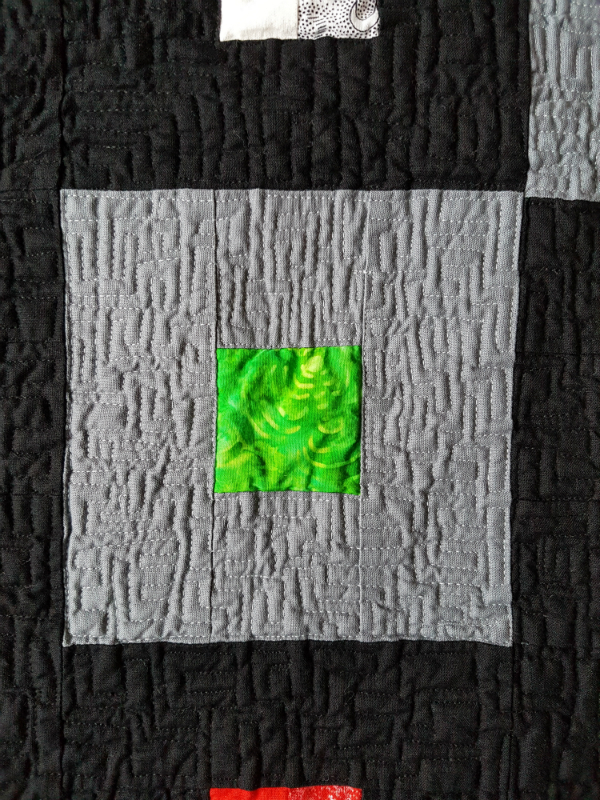 As always, your quilting is awesome. We all have scraps that multiply!! Love this scrappy quilt...great quilting! Simple and Impressive. Congratulations, Leanne. 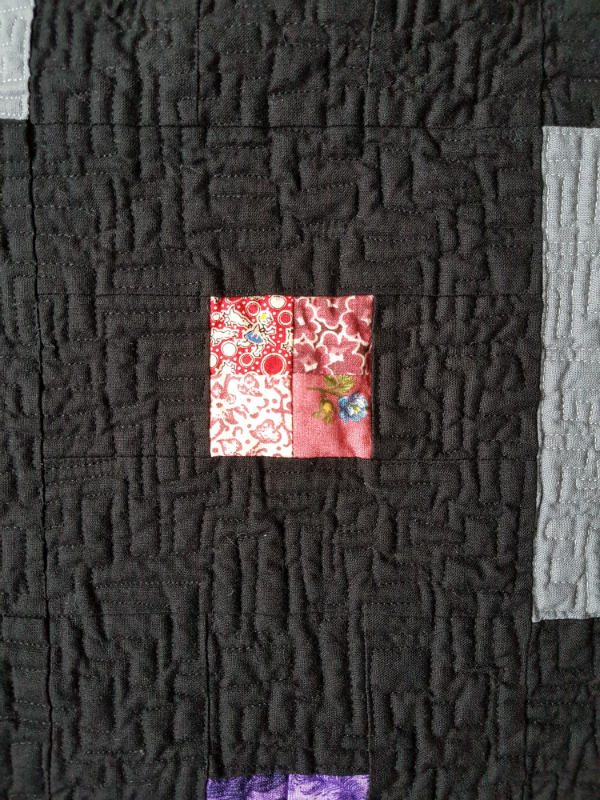 The lovely quilting really enhances the patchwork.